These words travelled 2440 miles through the air and landed on my phone at 6:35 am this morning. “OMG I love you but what are you doing up?” I respond. “I’m working dude! Gotta get these images right!” comes back on the screen. It’s 3:35 am in LA and my daughter, Jessie, (a new mother by the way) is still working on pictures for me. She’s relentless. Never stops. And I’m so lucky to have her in my life. Publishing these two novels has been a roller coaster ride. I’m up. Down. And all around. Putting your work out there is scary. And piecing everything together into a full-length novel? Terrifying. But I have Jessie and her brother and sister and father and you. I have you guys. You are the tracks beneath this roller coaster ride that has turned me sideways, upside down, and nearly ejected me from my seat. My books are not perfect. But is anything in life? I’ve been in love with words for decades. I read, write, rearrange, and loop them in and out of each other all day long. But I never really get the order perfect. There’s always a better way to say something. I’ve been a bear these past weeks and you’ve all put up with me, because, well, because you know I’m not perfect. So, thank you. Thank you from my soul. I’m blessed to have you in my life. My books are out. I’m still alive. I’m finally an author. Cyndie “CJ” Zahner is an author. 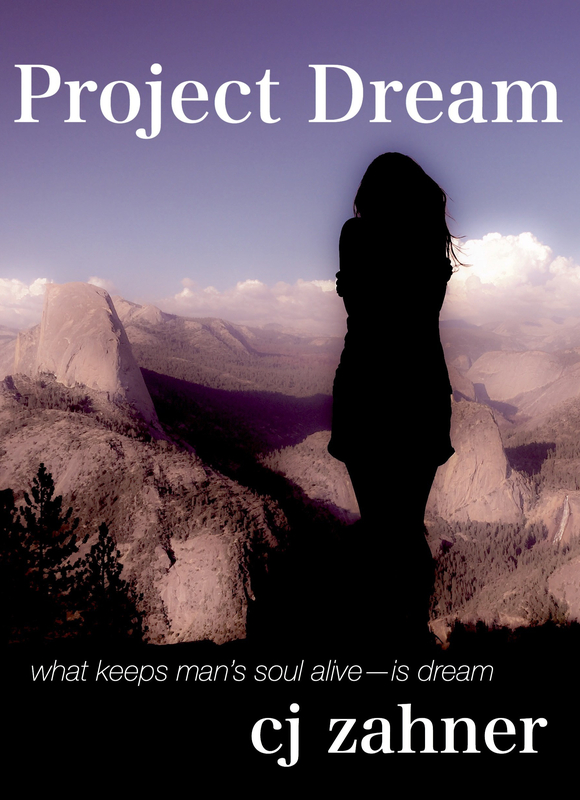 Dream Wide Awake: How real-life people, like Donna Vahey, become characters in a book. This might surprise You. Cyndie – I wish you the best of success with these books. You have worked so hard and deserve the best. And at the end of the day. You are officially an author. I believe in you! You have enviable talent and a heart of gold! There is nothing you can’t do when you put your mind to it. You have put your heart and soul into these books and the success will come. No one deserves it more. You’re only saying that because you are Doctor Emma Kerr’s tax accountant lol. Thanks, Cyndi. How much more writing I could do if I had your energy! Congrats on your release!! 🙂 Let the rocky roller coaster begin (although, as you know, you’ve already been on it for a while…). Yes! And do you like riding in the front car or the back car, Jean? Congrats on the new baby and all best wishes with your books. Congrats, Cyndie! Enjoy this moment. Everyone needs support, and we roses are right behind you. We’ve all been there. Beyond excited and very happy for you!!! Cyndie, you are living your dream!!! Yes! Thanks Jane. So nice to reconnect. It was great running into you. Hope to see again soon! Great words from a true author! Nothing but love for your books and you!!! What a gift to the world you are!! Keep shining!! !